Rob and Gary from Thatching Advisory Services attended the National Society of Master Thatchers Annual Conference and AGM on Saturday 15th March. The conference, which was held at the Norfolk Arms Hotel in Arundel, was well attended and included some excellent presentations and discussions. These included the Thatchmark programme, Fire Barriers and Insulation, health and safety with the NFU and chimney safety. Rob Norcott of Thatching Advisory Services writes article for International Fire Fighter. 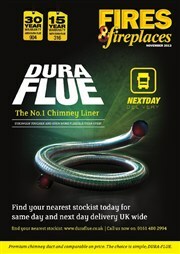 Rob Norcott of Thatching Advisory Services was invited to write an article for the International Fire Fighter magazine. 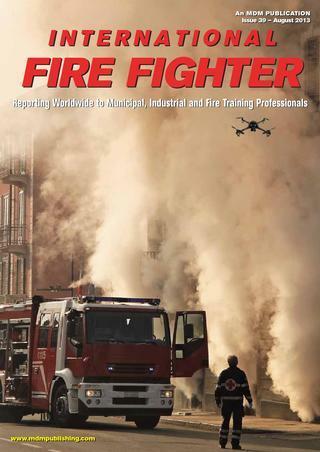 The IFF magazine reports world wide to professionals in municipal and industrial fire and rescue services. The magazine is subscribed to across the globe in 36 countries. The 5 page piece was centered around the importance of separation in construction on thatched roofs. The article also takes you through common causes of thatch fires and the various systems and preventive measures available. To read the article in full follow the link below. Pictures from the Oxford Mail show the devastation fire can wreak on properties with thatched roofs. Seven fire crews tackled the blaze in East Hagbourne overnight on Saturday. Firefighter Paul Webster, who was the incident commander at Hagbourne this weekend, said: “The speed at which the fire spread throughout the whole roof shows how little time people will have to think in a fire situation. Five thatches have been destroyed by fire in Oxfordshire so far this year – in Hagbourne, Besselsleigh, two neighbouring houses at Barford St Michael in June and a home in Swalcliffe in March – compared to one in all of 2012. Thatching Advisory Services were asked to speak at the Institute of Historic Building Conservation (IHBC) – Southern Branch AGM in Newbury on Friday 23rd November. The theme of the AGM was ‘Fire! Fire in Historic Buildings: Prevention, Reaction and Repair’ The event was well attended with more that 60 people present from a wide range of backgrounds to include Conservation, Architects, Building Control, Surveyors etc. Rob Norcott one of the Directors at Thatching Advisory Services was pleased to be able to share information, knowledge and experience with those who attended the event. Rob was also able to discuss and answer questions about suitable product testing and provenance, plus how products comply with the criteria’s set out in Building Regulations and the ‘Dorset Model’. Full details of the Suffolk Preservation Society autumn conference – ‘Fire and Thatch: a burning issue’ where Rob Norcott from Thatching Advisory Services was invited to speak, were recently published in the Winter 2011 edition of ‘Suffolk View’, the campaigning publication of the Suffolk Preservation Society.